There is nothing I like better than to sit down with page proofs and mark them up. I am indeed one of those nerds who will mark other magazines with copy editing marks when I find typos. I can't leave it! It just has to be done. 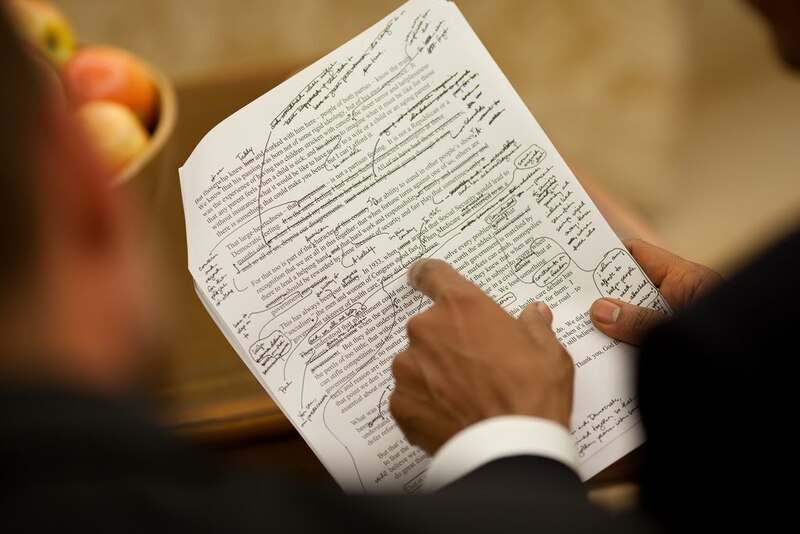 I don't have as much editorial say as President Obama, but one day I will, and one day, I will make pages bleed bleed bleed. marking up copy is very satisfying. being obama's speechwriter probably isn't, when this happens. ha! good point Chung. goooooood point.